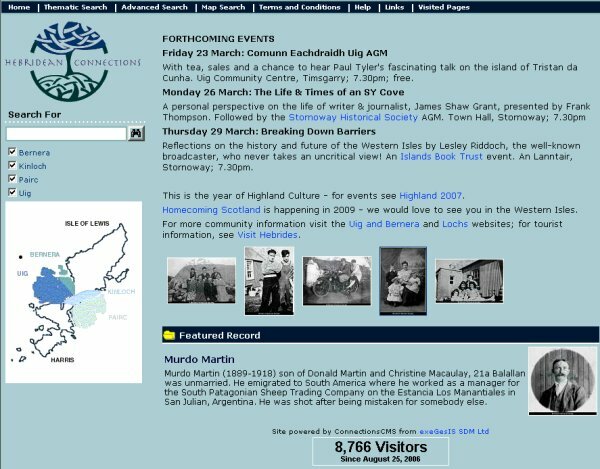 For this exciting project (www.hebrideanconnections.com) we developed a content management system linked to an interactive website which allows the recording and exploration of the rich cultural heritage of the Hebrides. This work was comissioned by local history societies and has become a major resource for researchers and the public from all over the world. The main page (Figure 1) provides an introduction to the website which is constantly updated with the help of the content management system. It also shows a featured record which is automatically updated by the website. The dataset of more than 40,000 individual entries can be searched on the left of the main page. There are a number of different searches, including a Thematic Search, Advanced Search and Map Search. The Map Search (Figure 2) shows all records and individual or multiple selections can be made to see details. A variety of different base maps allow the user to view appropriate maps for different zoom scales. Multiple search results (Figure 3) are by default displayed grouped by types of records (e.g. People, Locations, Businesses, etc.). Results for each group can be displayed or hidden and may show associated imagery. Each result is a hyperlink which can be clicked to view more details. 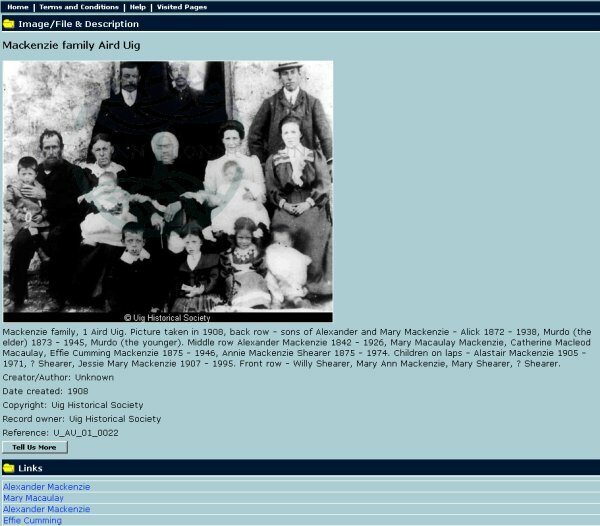 Single results (Figure 4) display all the details available for an individual record including associated media and links to other records. The unique linking mechanism is the core of the unique content management system: Each record can have any number of links to any of the other records. This allows the recording of complex real-world networks of people, places and events. If you would like to find out more about this project or if you are interested in making your local history available for the public to explore, then please contact Crispin Flower. Figure 1: Main page of the Hebridean Connections website. 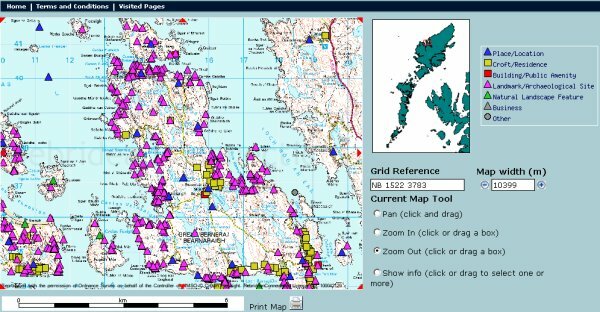 Figure 2: Map Search page of the Hebridean Connections website. 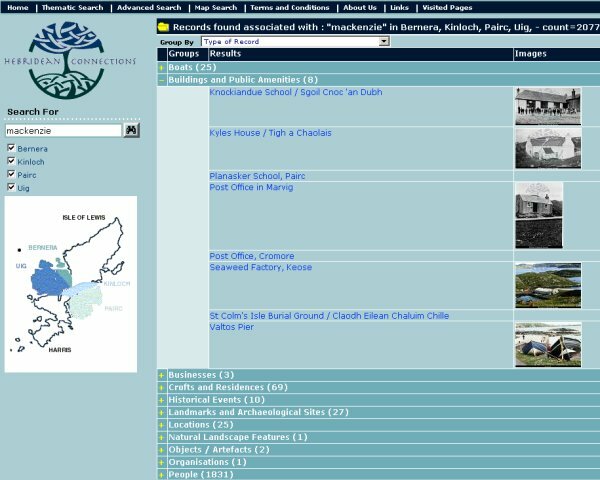 Figure 3: Multiple Results page of the Hebridean Connections website. Figure 4: Single Results page of the Hebridean Connections website.